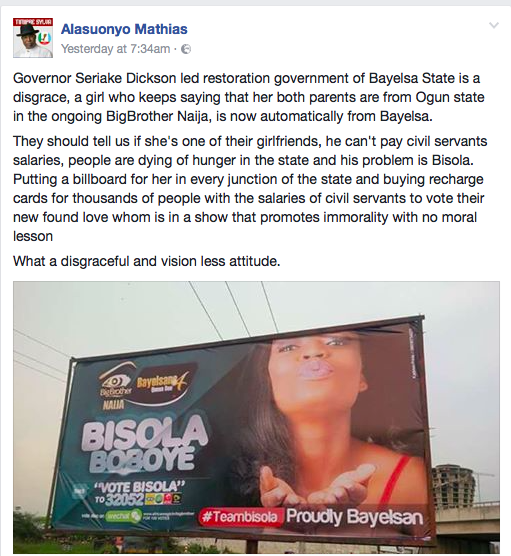 "Governor Seriake Dickson led restoration government of Bayelsa State is a disgrace, a girl who keeps saying that her both parents are from Ogun state in the ongoing BigBrother Naija, is now automatically from Bayelsa. They should tell us if she's one of their girlfriends, he can't pay civil servants salaries, people are dying of hunger in the state and his problem is Bisola. 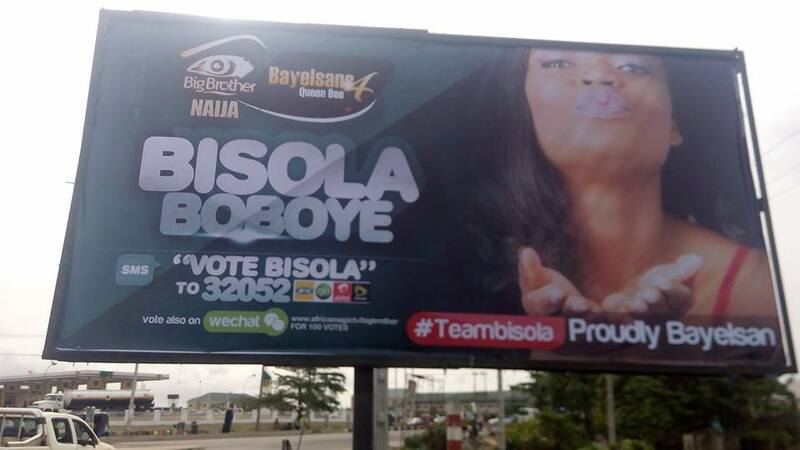 Putting a billboard for her in every junction of the state and buying recharge cards for thousands of people with the salaries of civil servants to vote their new found love whom is in a show that promotes immorality with no moral lessonWhat a disgraceful and vision less attitude."